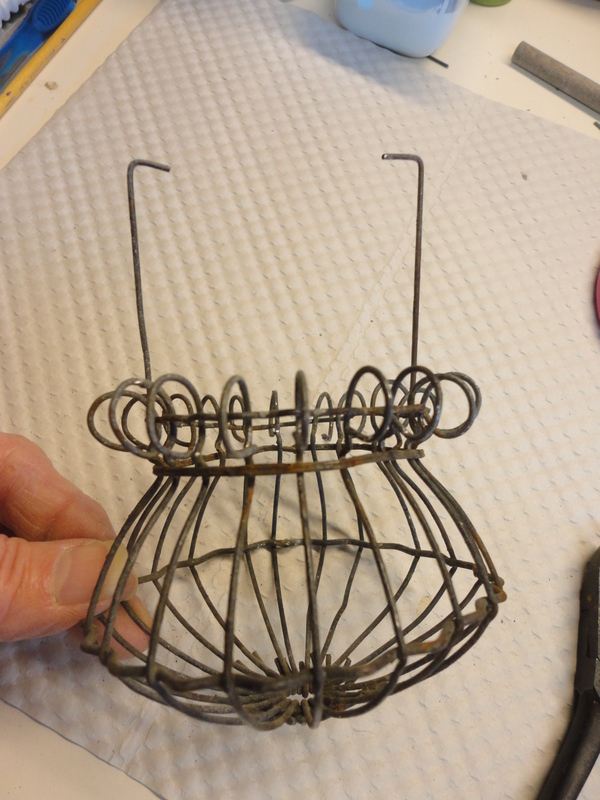 While out snooping around sales last summer, I paid a whole quarter for an old, wire downspout guard. 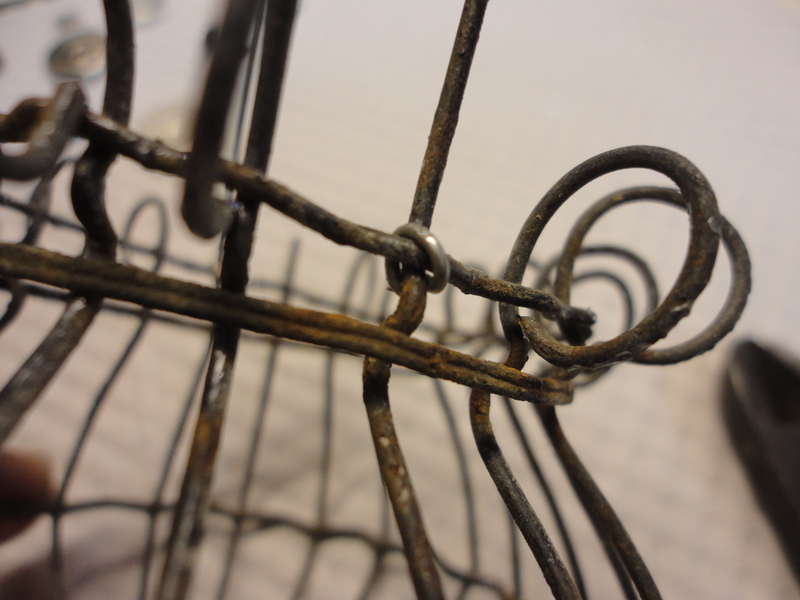 It was a little bent, but the wire was good and not brittle from rust. 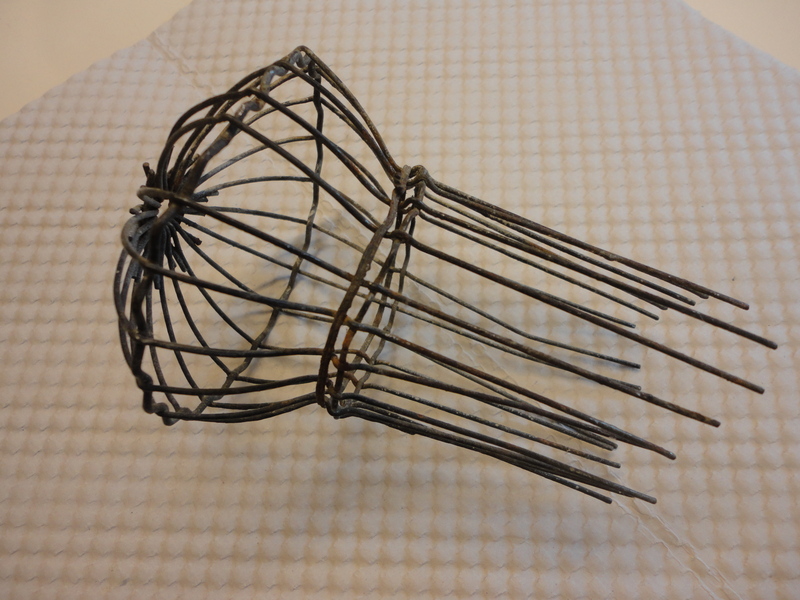 I’m always attracted to, and compelled to buy wire objects and it looked like something I thought I needed. I caught a glimpse of the dusty and forgotten object on a shelf in my workroom last week. 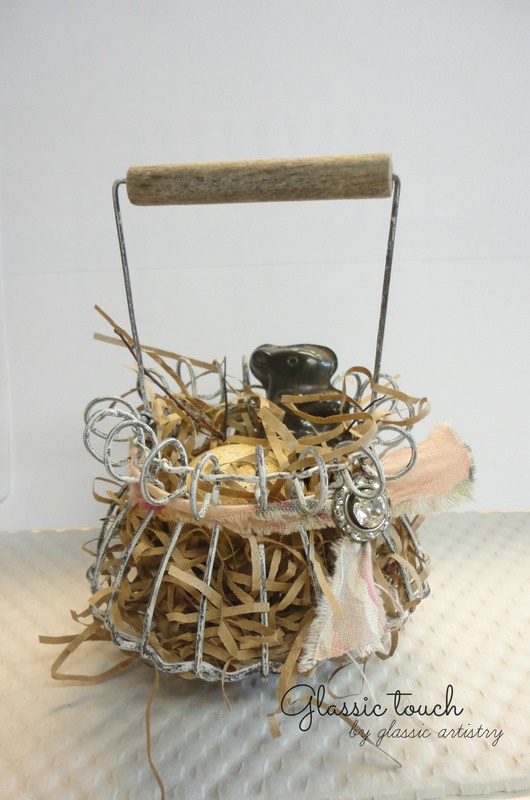 With Easter right around the corner, I thought it would be fun to make a little basket for my “gathering” buddy, Jean. She’d get a kick out of it. I cut the wires down about 1 1/2″, except for two (opposite each other) which I left for handle arms. 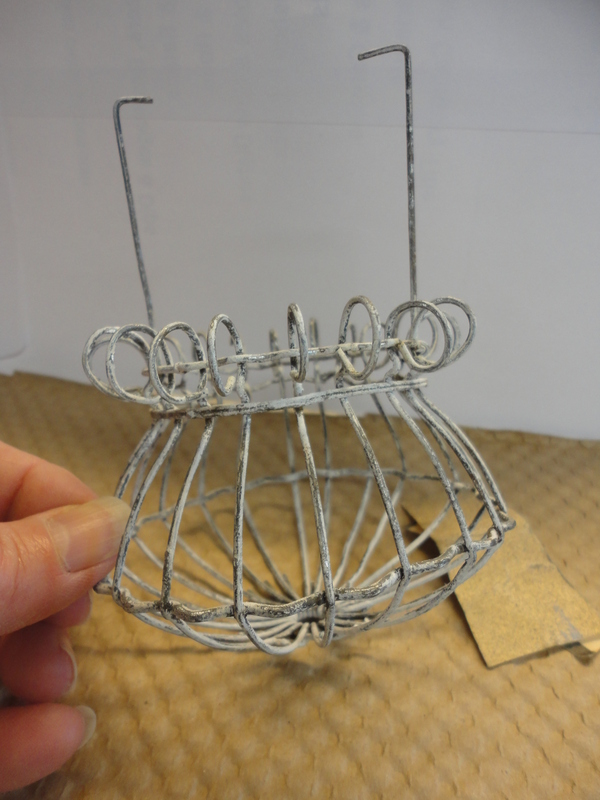 The cut wires were coiled down to form a basket rim. 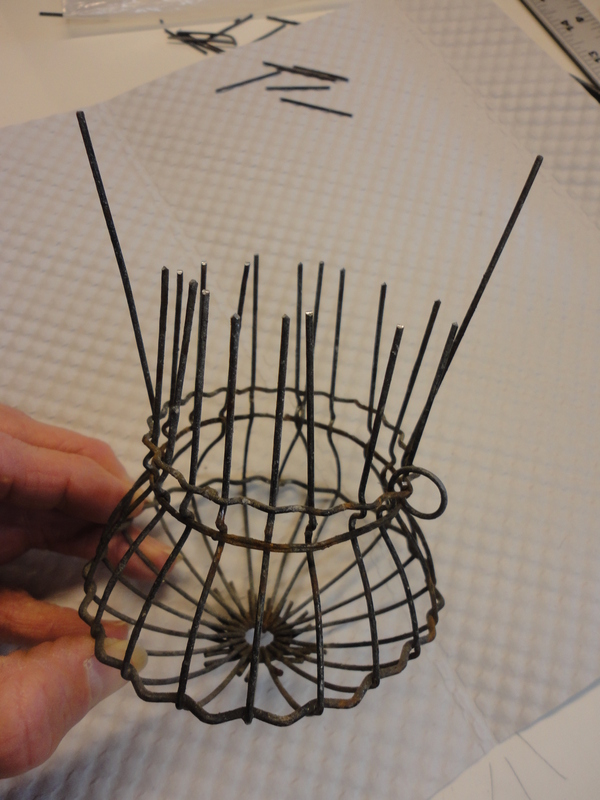 The long wires were bent, about 1/4″ down, to form L shapes and then wired securely in place. A short piece of weathered, 1/4″ wooden dowel was cut for a handle. 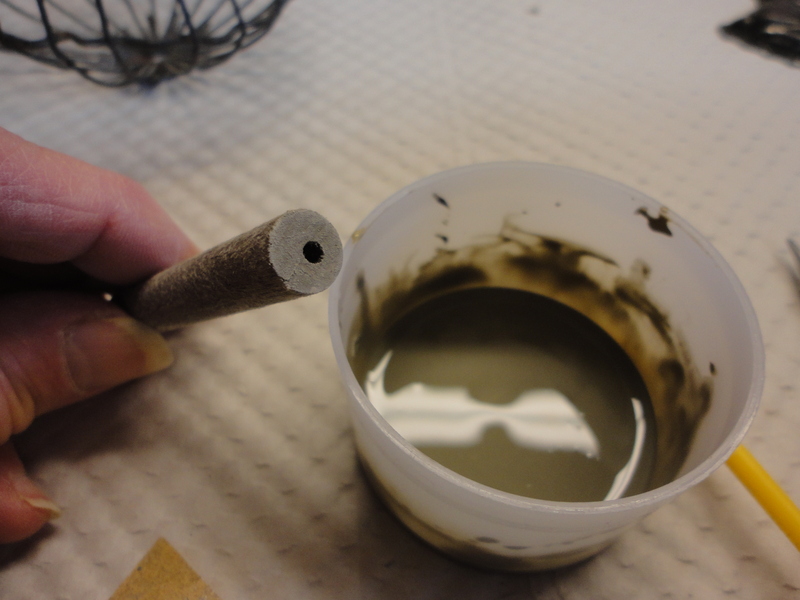 Drill a small hole in the center of each end of the dowel piece, at least 1/4″deep. Age the fresh cut wood ends with thinned, gray paint, and sanding. 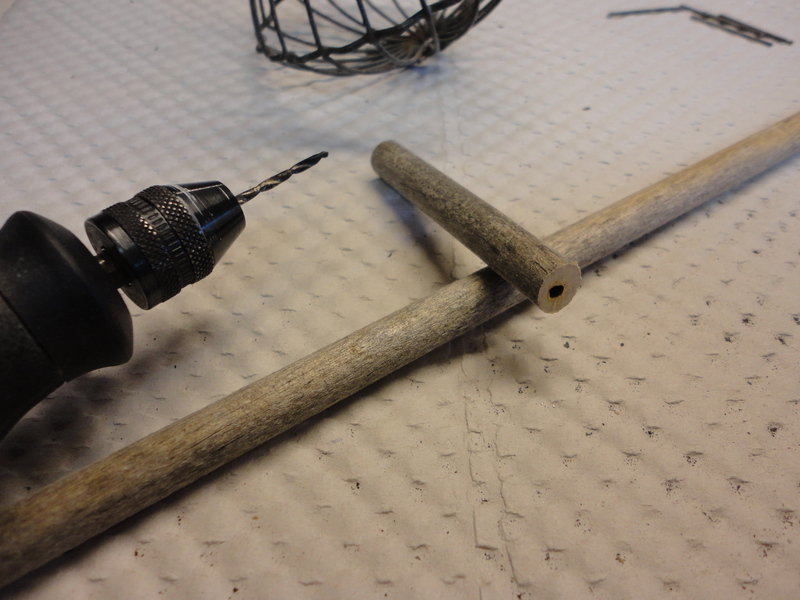 Hook dowel between the handle arms. You could simply leave the basket it’s original color here. I would suggest touching up any plier scratches and marks with a black patina. 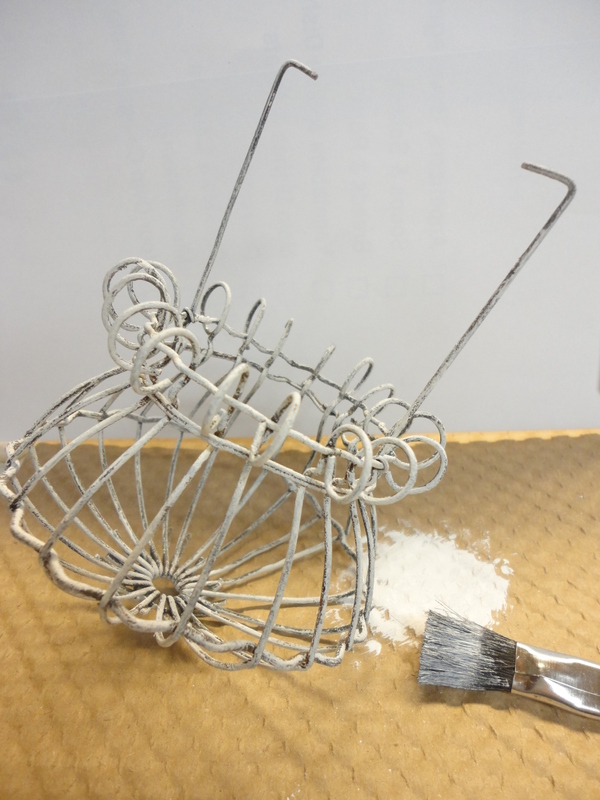 I chose to lightly dry brush my basket with white, craft paint, then gave it a sanding. I had a gorgeous vintage twist on earring and I couldn’t resist adding some bling to cover the knot of the tea stained strip of vintage fabric tied under the coiled rim. I waxed, then speckled, a small dried egg gourd to nestle in the shredded, brown paper beside a small, metal, bunny candy mold. Done! I can’t believe how easy this project came together .. a quick afternoon upcycle if you have all your supplies handy.